True Goulash is a thick rich dish of meat and veggies with deep full bodied seasonings, Its origin traces back to the 9th century to stews eaten by Hungarian shepherds. Back then, the cooked and flavored meat was dried with the help of the sun and packed into bags produced from sheep’s stomachs, needing only water to make it into a meal. It is one of the National dishes of Hungary and a symbol of the country. The key to a old fashion goulash is three things, meat cuts that have lots of natural bone in, long slow cooking times and excellent root veggies..
Cook your meat and onion and garlic first, then add the rest, stir often, you do not want your pasta to stick to the bottom of the pot. Serve hot, can add a dollop of salsa on top, or sour cream or grated cheese on top if you would like. 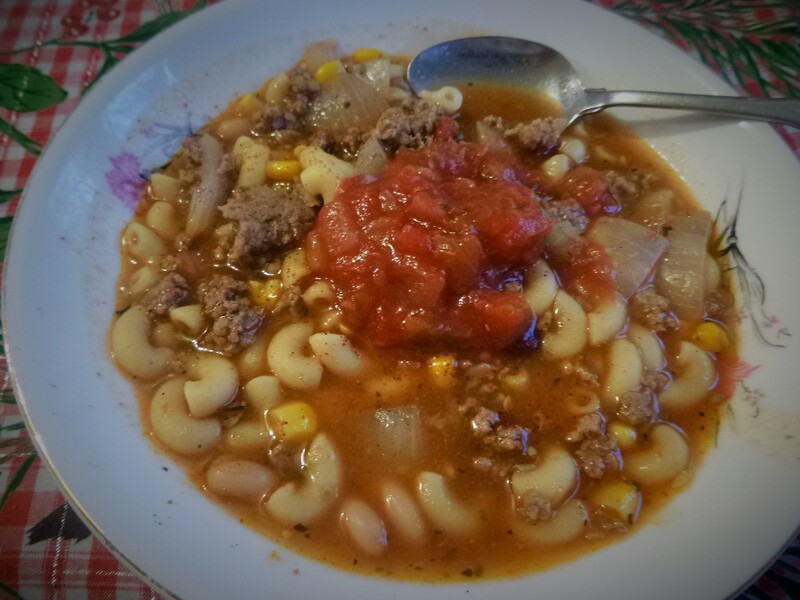 This entry was posted in Life moves on daily and tagged Hamburger Goulash, Hamburger Goulash Recipe, History of Goulash, Loaded Goulash recipe. Bookmark the permalink. 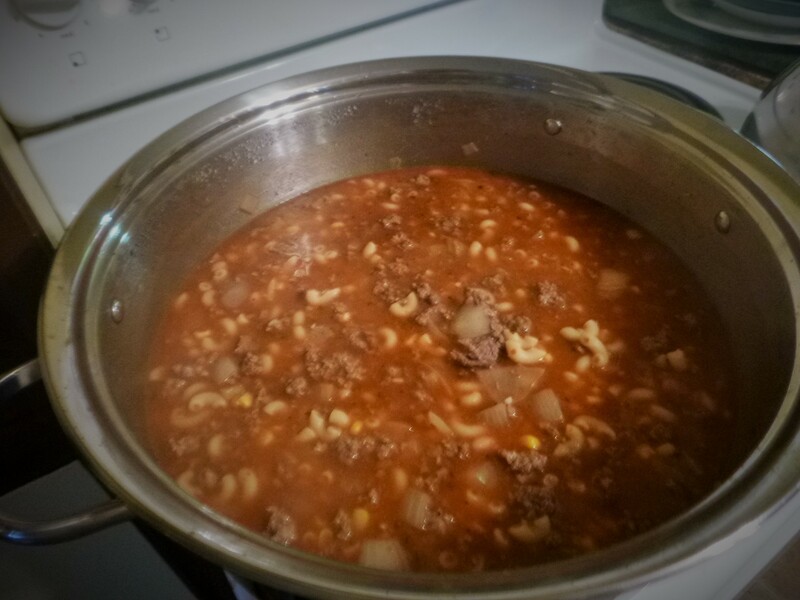 True Hamburger Goulash is just burger, tomato sauce and pasta, I add the corn and the beans to make it have at least a bit more vit and minerals to it.. LOL but its a comfort food straight up.